This is a 3 axis electronics system with a 100 oz-in stepper motor for smaller CNC and 3D printer machines. (1) Interface Board either USB or Parallel (select the appropriate interface board in the price options. 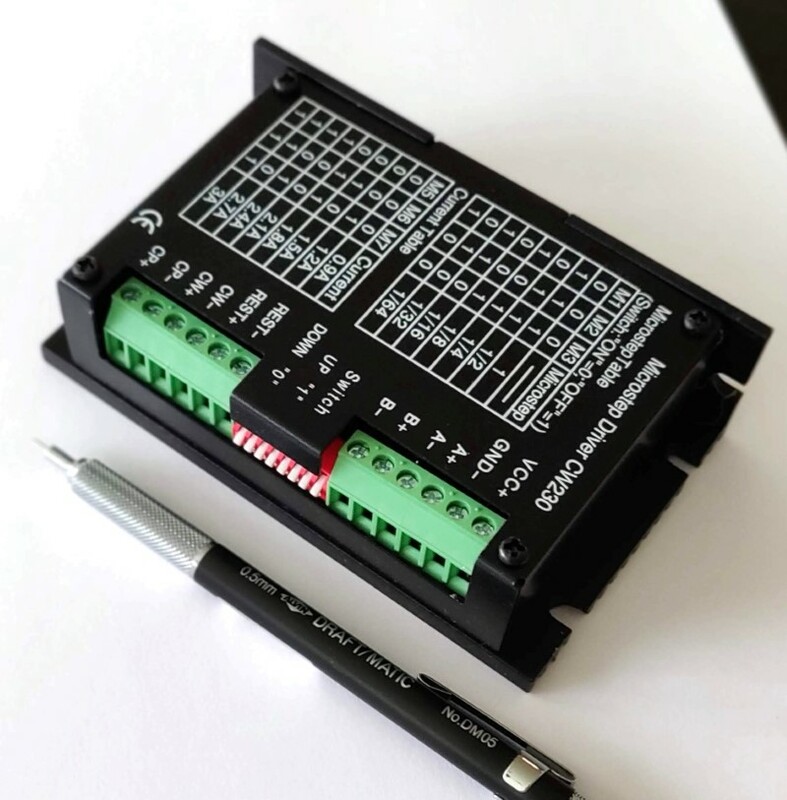 Parallel Board: Works with Mach3, Mach4, or Linux-CNC. Parallel Port and Parallel Cable Required on PC running a 32 bit OS. Software can be purchased from BuildYourCNC. Planet-CNC USB Board DISCONTINUED : Works with Planet-CNC Control Software ONLY. Mach3 USB Board: Works with Mach3 ONLY. Connects through standard USB port. Mach3 can be purchased from BuildYourCNC. This is the data sheet for the 100 oz-in motor that is included in this kit.